It’s been a long while since I’ve done a beer review and, in all honesty, it’s probably been a long while since I’ve actually spent any time thinking about the stuff I’m pouring into my stomach. It’s time to slow down and think about what I’m drinking. And we’re going to start off with something season appropriate. As I’ve mentioned before, Sam Adams has a series of limited edition beers that they only release in their larger bottles. I’ve reviewed one or two in the past and they can range from very nice to solid, but underwhelming. They’ll rarely hit one out of the park, but they’re dependable, more complex than average and will allow your typical beer drinker the go outside of their comfort zone without gettin’ too crazy. 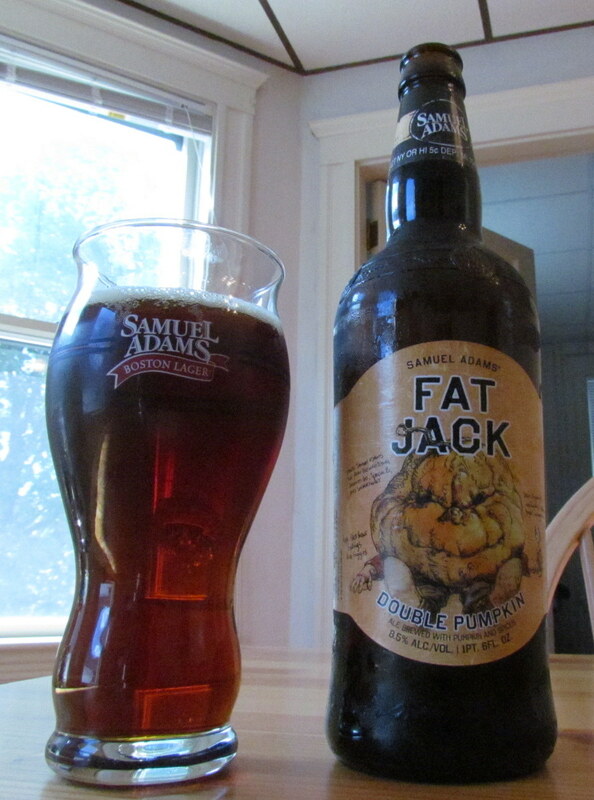 Fat Jack is a great example of a Sam Adams craft beer and it’s high on my list of pumpkin ales. A lot of pumpkin beers rely too heavily on spices leading to a lackluster experience. When all you have seasoning your beer is an overabundance of cinnamon, your beer is going to lack any true depth. Most of the pumpkin beers I’ve tried have started off with a strong burst of flavor and then quickly peter out into nothing. But Fat Jack is solid through and through. You can tell from the color that things are different. Instead of the pale orange typical of its breed, it’s a deep amber color. It has a spiced smell, but it’s not sharp or overwhelming. It’s a deep, rich beer, with a lot of flavor of pumpkin in addition to the usual assortment of spices. It’s well rounded, bold and heavy, in terms of flavor. From first to last, you get a strong pumpkin ale with a great start and a strong finish. All in all, this is one of the best pumpkin ales you can get, right up there with my favorite, Pumking. Do yourself a favor this Halloween season and check it out. I give it a Great Pumpkin and the original Black Christmas.